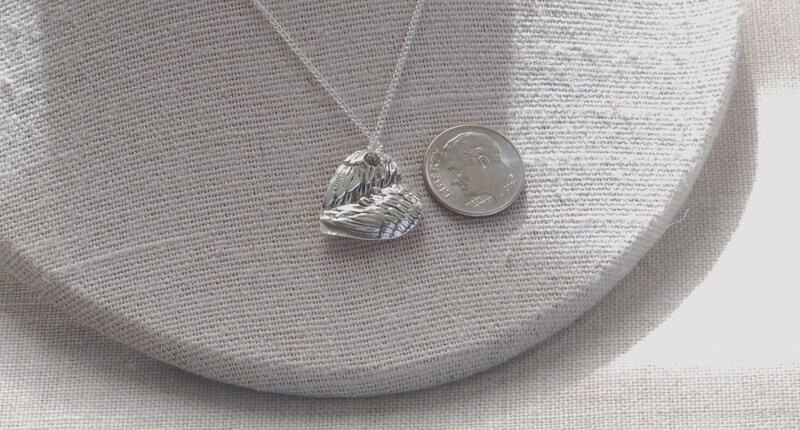 A Fine Silver (.999) Angel Wing Heart is the front of the pendant. 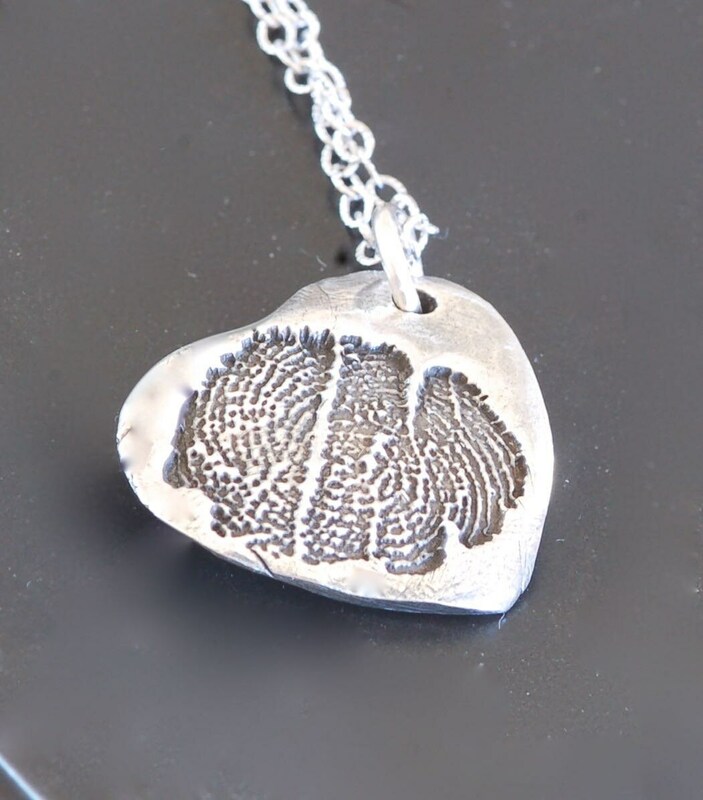 The backside has a fingerprint impression. E-mail me a black ink impression of a loved one's fingerprint. 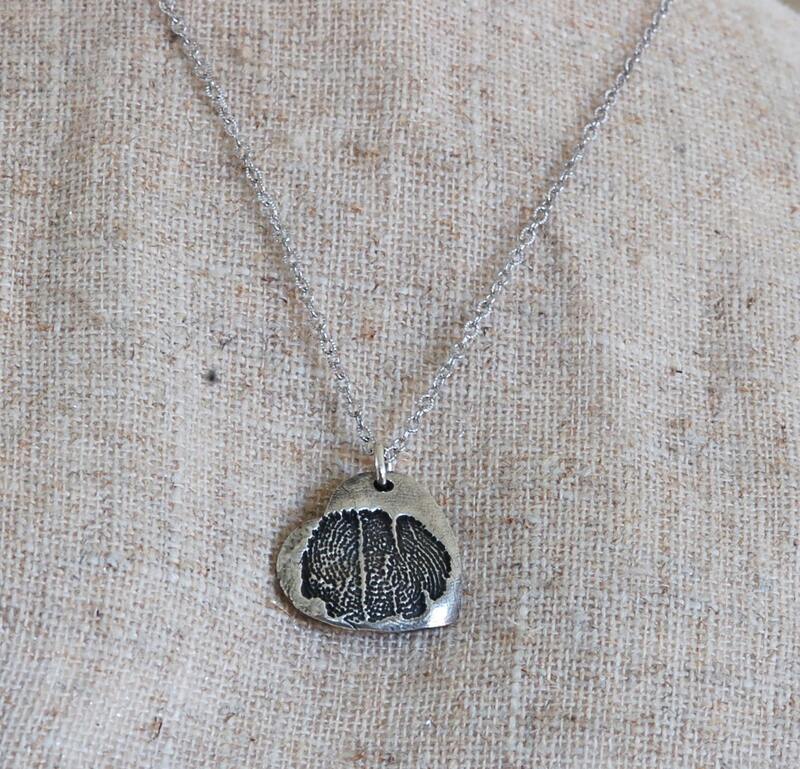 I can stamp a small message with the imprint (or name, date or age,etc) on the back of this pendant. Please send request before placing order. 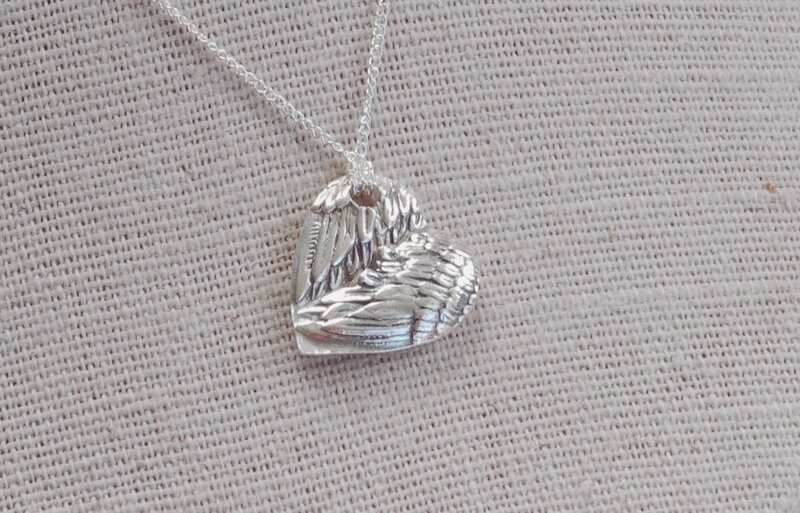 Sterling silver 16 inch chain included. Shown in antique finish. Great seller. Very unique necklace.